SIBO is when there is an excessive amount of intestinal bacteria in the small intestine. The causes of this disease are not well understood. However, there are measures you can take to treat SIBO health problems holistically. 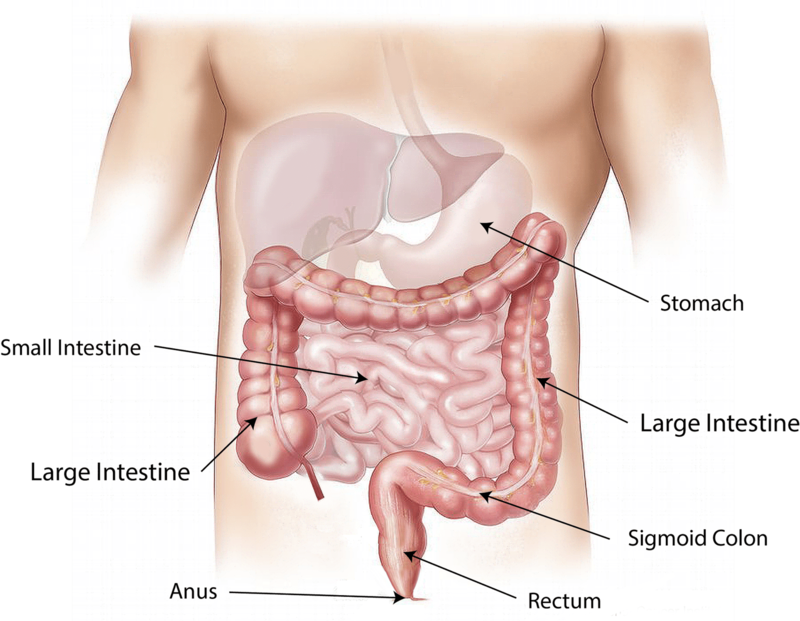 Your small intestine is situated between the stomach and the large intestine. It’s where the most absorption of food takes place—it’s really important to care for it. The process of absorbing food nutrients is a rather complex one. The small intestine is where the most chemical digestion takes place. The pancreas and liver secrete digestive enzymes, which enter through the pancreatic duct. The hormone cholecystokinin, which is produced in the small intestine, signals for these pancreatic enzymes to come when nutrients are detected. The small intestine also produces the hormone secretin to release bicarbonate into it to neutralize strong stomach acids. It’s a pretty amazing process. The structure of the small intestine is also quite remarkable. Small is and isn’t a misnomer for this part of the body. It is half the size in diameter of the large intestine, which is technically small. It’s also about 20 feet long. The large intestine is about 5 feet long. While this indeed is an impressive length, the small intestine’s wall is noteworthy as well. The numerous folds visible to the outside slow the food from passing too quickly. Inside there are even more ribbon-like folds, known as the mucosa, bunched together that achieve this goal. On the circular folds of the mucosa, there are hairlike structures called villi, which contain even more microvilli. That’s where the work really takes place. The villi and microvilli collect the micronutrients our bodies need by sending the vitamins, fats, carbohydrates, and minerals to blood vessels. 90% of the nutrients from food is absorbed in this organ. Given its length, it makes sense there are distinct sections. The small intestine is comprised of three parts. The duodenum is the first part and connects to the stomach. The middle part is the jejunum. The third part, called the ileum, attaches to the colon. Each section has specific nutrients that it targets for the absorption process. As mentioned earlier, there is an immense amount of chemical processes taking place during digestion in the small intestines. The small intestine does not break down food substance—that’s for the large intestine. What Causes Bacterial Overgrowth in the Small Intestine? Muscles, nerves, and chemicals are responsible for moving food—and its bacteria—through the small intestine to the colon. When there is damage to any one of those parts, leftover bacteria can wreak havoc on our small intestine. Gut flora is supposed to be in the large intestine and colon. The small intestine is not meant to have a large number of bacteria. Scarring from conditions such as Crohn’s Disease can cause bacterial overgrowth, but excessive use of antibiotics and other medications can throw off the chemical and pH balances in the small intestine. Poor diet—especially diets consisting of sugar, refined carbohydrates and alcohol—and lack of exercise also encourage this dangerous bacterial overgrowth in the body. Alcohol in particular, though, is proven to damage the villi and microvilli of the small intestine. That potential damage combined with its high sugar content, make alcohol a likely cause of SIBO. Refined carbohydrates—(white bread, processed rice, etc. )—also contribute to SIBO. Whole foods take time to eat and digest. Your body is supposed to break down food. When there is nothing to break down, your body does not signal for the nutrients to be absorbed. Your small intestine sees eating refined carbohydrates as basically pointless—as there is little nutrient content—and therefore does not properly digest and process this food. Stress also causes SIBO. Stress can cause profound biochemical reactions in the body. Sufferers from autoimmune diseases dread the horrible responses of stress because their bodies’ immune systems literally attack their organs and systems. People who don’t have autoimmune conditions still need to be careful about stress. Stress reverses bodily flows and processes. Some people experience acid reflux when they are overexerted emotionally. As the medical community is now beginning to understand that the connections of the gastrointestinal system and stress, professionals hypothesize stress can cause bacteria from the large intestine and colon to migrate backward into the small intestine. When SIBO occurs, the fat-soluble vitamins A, D, E, and K are not absorbed as well as the mineral iron. This can cause significant health problems. It also throws off the body’s natural hunger cues. There’s also a breath test to detect SIBO. It’s non-invasive and measures the methane and hydrogen in your body. When bacterial overgrowth occurs in the small intestine, gas often follows. A low FODMAP diet is a way to starve the bacteria in the small intestine. FODMAP is an acronym that stands for Fermentable Oligosaccharides, Disaccharides, Monosaccharides, and Polyols. It describes foods that contain specific carbohydrates that are not always easily absorbed and contribute to a significant overgrowth. Feeding the bacteria is only going to make it grow stronger—starve it. SIBO can be treated with antibiotics. An alternative way to treat SIBO is with herbal supplements. Many herbs contain antimicrobial properties. 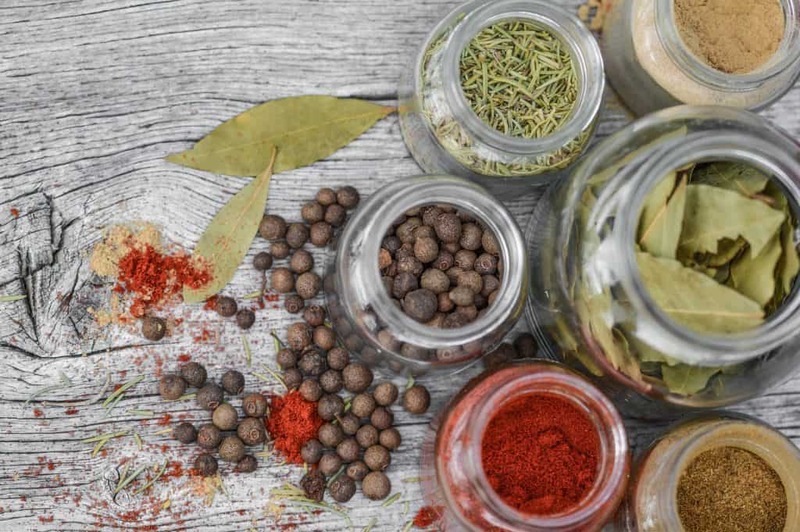 Some of the astringent herbs are oregano, berberine, thyme, olive leaf extract (which also helps eliminate parasites), and garlic are the most sought herbs for eradicating SIBO. Flood your body with probiotics. Probiotics breakdown the food substance in the large intestine and colon. You should always be on a soil-based probiotic. Think about how the soil breaks down different materials, especially in a compost. You want your body to do the same. In case you indulged on a fantastic piece of dessert, you’ll want your body to have the backup it needs to break down this low-nutrient food substance properly—don’t let it sit in your body. Find ways to avoid stress. Again, the medical community is slowly understanding the significance of stress. We’ve all seen stress cause acne, inflammation, heartburn, and indigestion. It’s now thoroughly understood how the body’s chemical reactions due to stress are causing SIBO symptoms—and much more. SIBO can happen much more than we think. Undigested foods from low-nutrient sources play a significant role in SIBO as it affects the body’s ability to migrate food properly. Not enough probiotic flora in the gut just leaves it sitting there as well. Stress can cause undigested foods to shoot back up in the small intestine and feed SIBO. Alcohol should also be taken very seriously when experiencing SIBO-related symptoms. Alcohol causes nerve damage all over the body. It makes perfect sense alcohol can damage the intricate nerves and muscles in the small intestine. Talk to a medical provider if you think you might be experiencing symptoms of SIBO. The answer does not have to be a one-pill-fits-all treatment. It can be a holistic approach that even improves your lifestyle. It’s also not as difficult to achieve as you think.